i love september and its mix and mash of seasons...summer heat and fall air...school by day and sprinklers and bike rides til night. 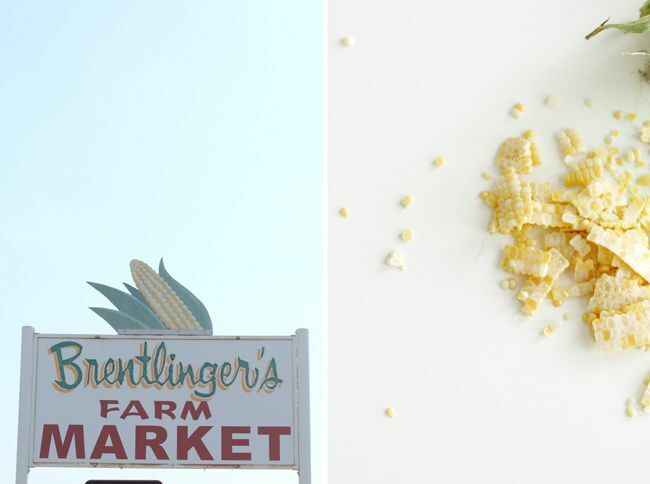 the farmers market down the road is selling off last bits of their ohio sweet corn...it's the perfect time to make some ice cream! 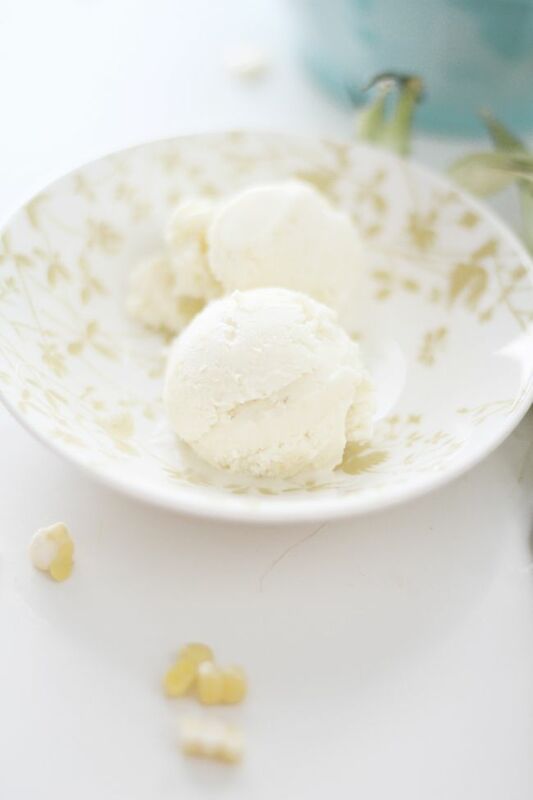 i used this recipe for sweet corn ice cream here, blending the kernels in the blender to have less chunks and adding a bit more vanilla! it really is delicious, especially if you toss in some blackberries too...the perfect end of summer treat! This is definitely a combination I've never even thought of. I'm a little scared to try it, but you made it look so good! 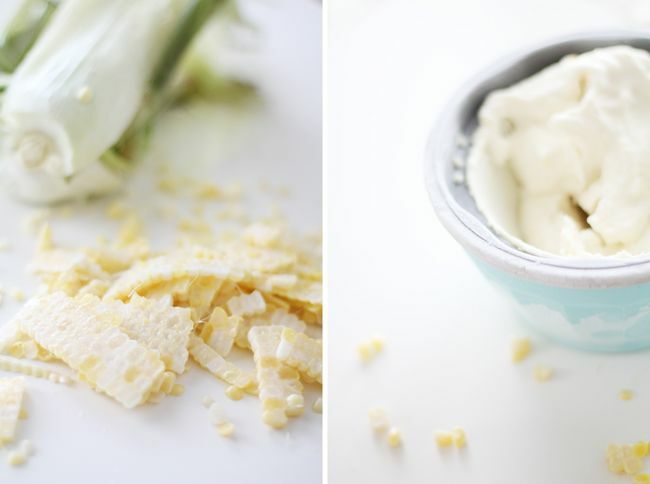 I've never heard of sweet corn ice cream! It looks pretty good, but I'm scared haha. Yum! sounds like such a great combination. I just ordered a book filled with ice cream recipes, not sure when it's coming so I might try this out in the mean time :) I've always wanted to try making my own! so interesting. I'm such it's delicious! wow interesting, I'm sure it's delicious, and the photos make it definitely look so! Perfect is the right word to describe your blog! I love this idea! I honestly just sat down from canning corn salsa... trying to save a bit of that Ohio sweet corn is exactly what I've been thinking about all day. Enjoy your treat! What a great way to bridge summer to fall! Wow, this sounds lovely. Our markets are selling corn for cheap too. I think like, 5 for $1. I should totally make this. Thanks for the recipe linke. BTW I'm doing a little vintage post on my blog today. 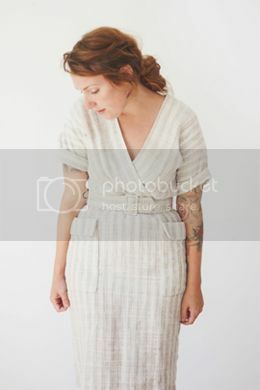 My girl friend who has been vintaging for 17+ years is sharing some cute outfits and tips to shopping. You should stop by! What an interesting flavour of ice-cream. 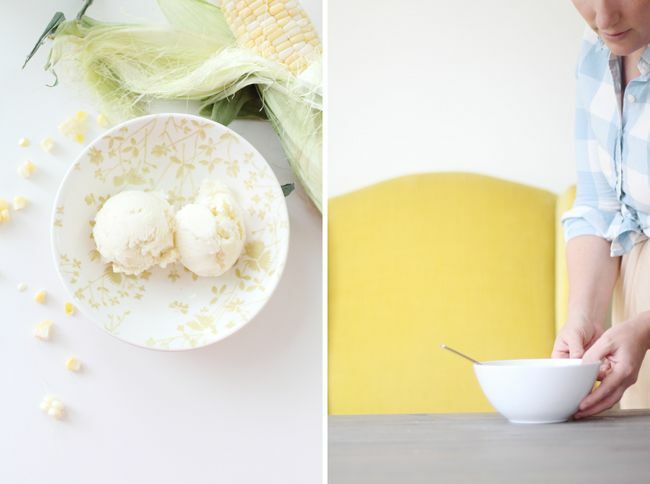 It sounds delicious, though I would have never thought of putting corn in ice-cream. But then again, the other evening I made us some small sundaes with French vanilla ice-cream, topped with a sauce of heated blueberries and corn syrup. I think it may have had a similar, and very delicious, taste! Absolutely gorgeous pictures. 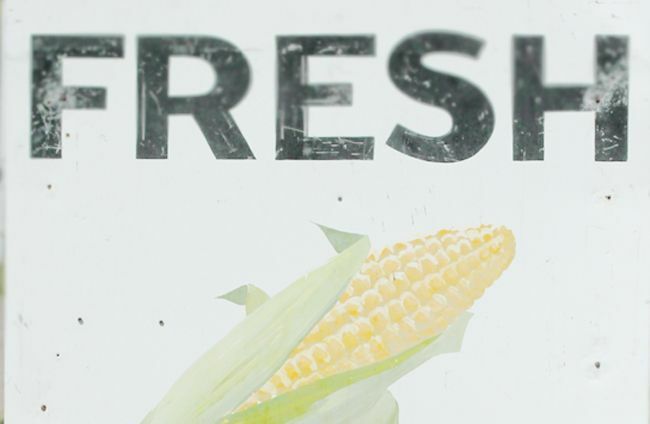 I love the one of the 'Fresh' sign. wow! !cool idea!! !the photos are stunning!! oh dear, i need to try this immediately. I've never heard of this flavour before! It sounds weirdly good though. Oh my goodness, this sounds so amazing in so many levels. LOVE your creativeness and style darling!